So after our last attempt at stone beer brewing was rather mediocre, I decided to give it one more shot in an environment that truly contributed to the format. 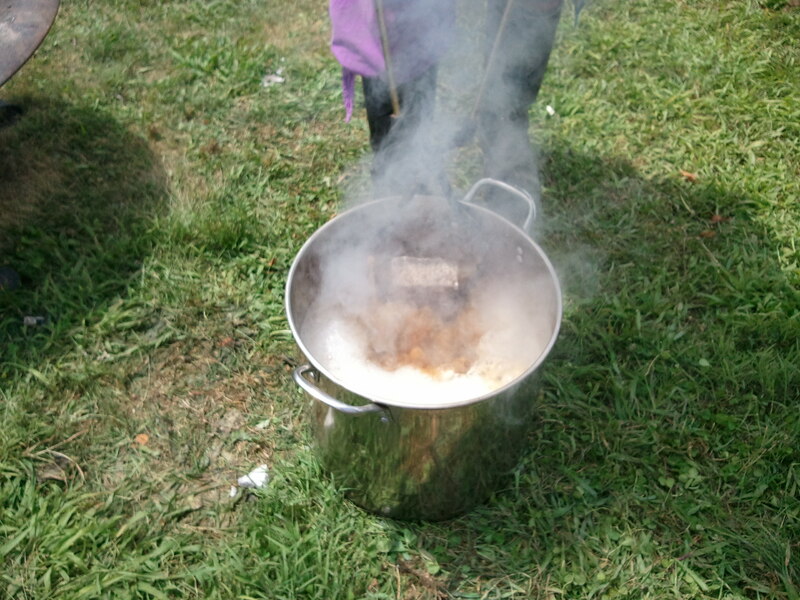 Yes, I decided to do a whole grain brewing class at Pennsic War 42 (Don’t Panic). My friend MHP recommended using Belgium Block which are hand struck granite blocks. 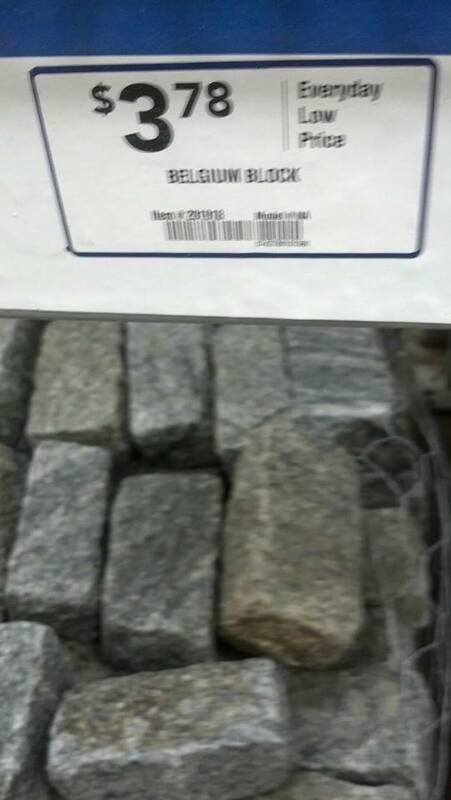 The nice thing about these is that they are a very hard stone which are not prone to temperature cracking but are also able to be easly broken by cracking the block against a curbstone or another Belgium Block. I got ten of these blocks at Home Depot for $2.50/ea. They were having a sale. 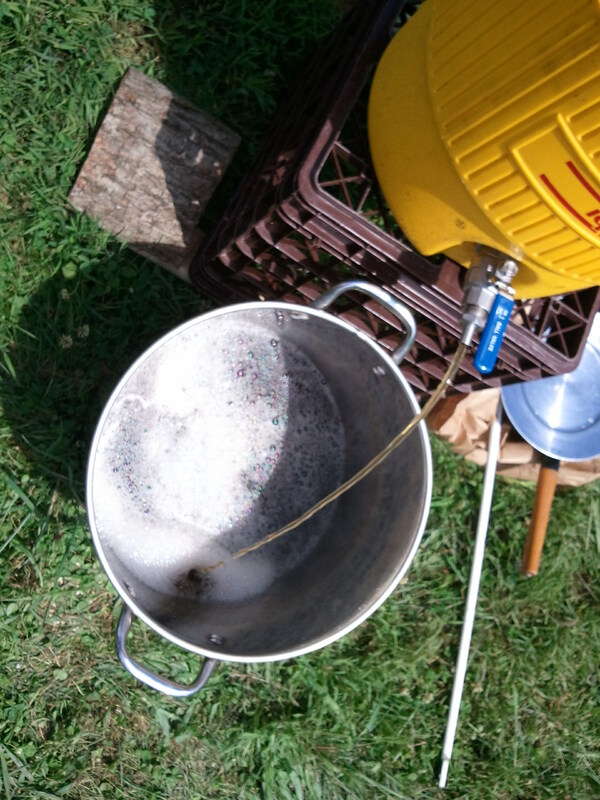 The water was actually brought up to boiling and I added 2 qts of cold water back into the 8 gallon container to bring the temp down to 180. We have our grains already in our mash barrel and we put a metal plate on top to evenly distribute the water. 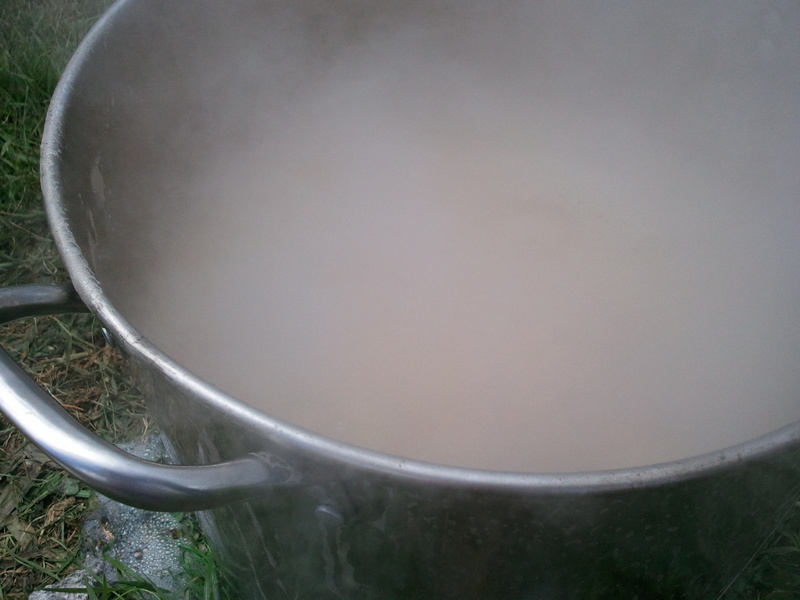 I started this part of the mashing about 45 min before the class started. No point in everyone sitting there watching starches convert. Towards the end when I was drawing off and re-pouring the wort through the grain bed, 3 folks showed up for the class. 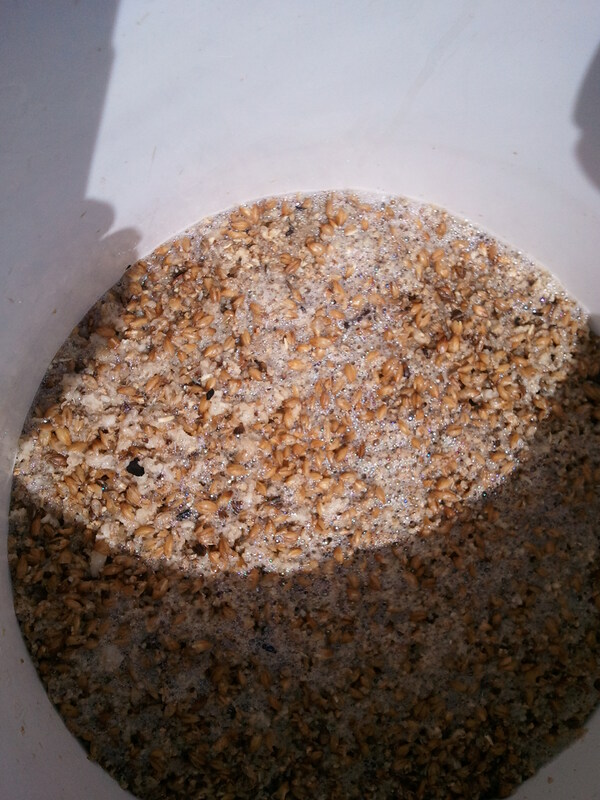 2 of the individuals had whole grain brewed before and we had a new brewer who was still doing extract. All of us extolled to him the virtues of whole grain brewing and we had a beer while we preached to the choir. 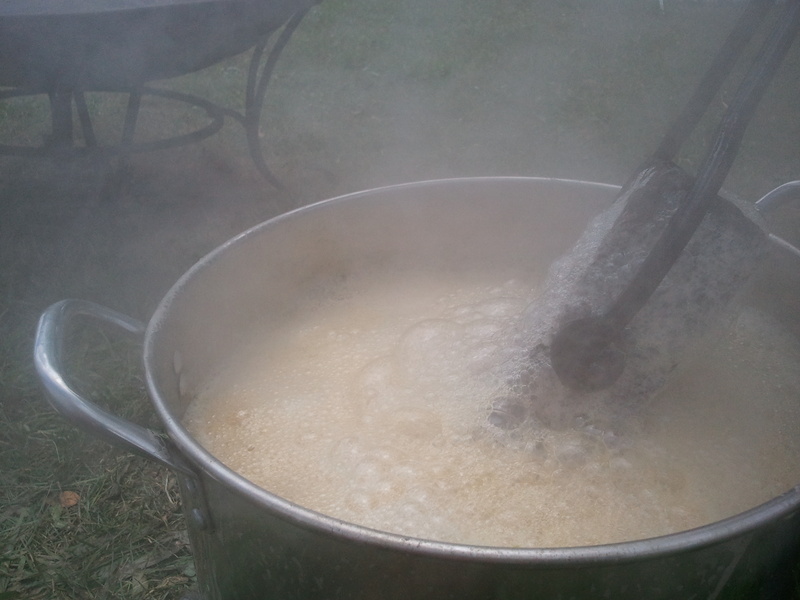 After a drink or 2, or 3, we were ready to draw the wort off into a bucket and the Belgium Blocks went back into the fire again. 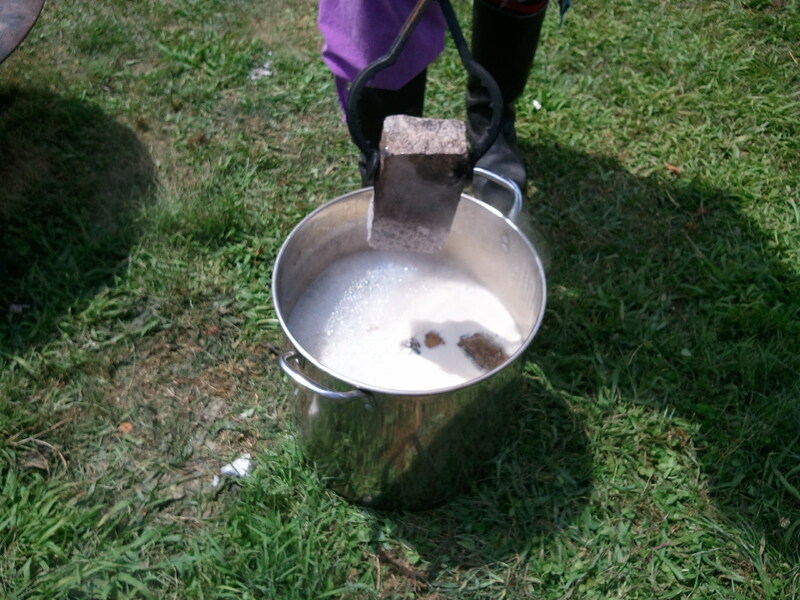 Now at this point, any flakes of granite or dirt that got into the water was filtered out through the grain bed. 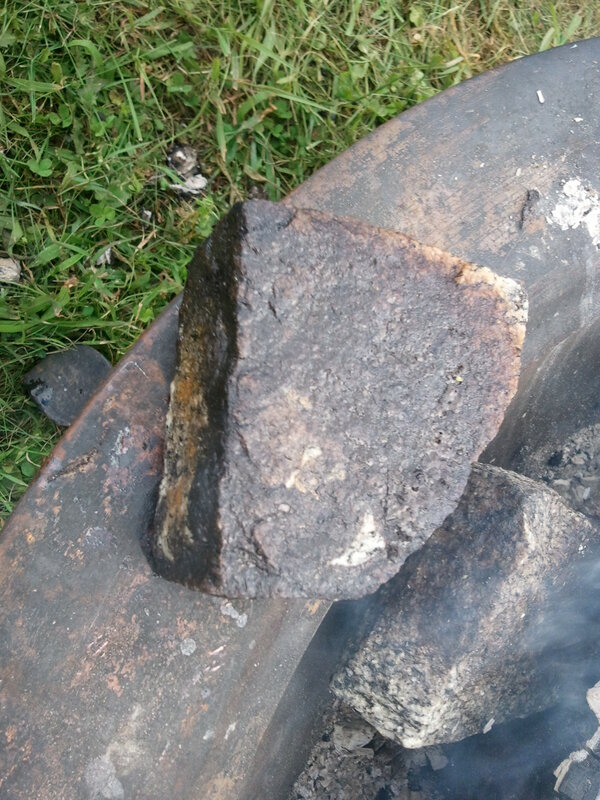 Our second exposure to the blocks will add some of the smokiness from the fire as well as carmalize some of the sugars onto the blocks themselves to add flavor. 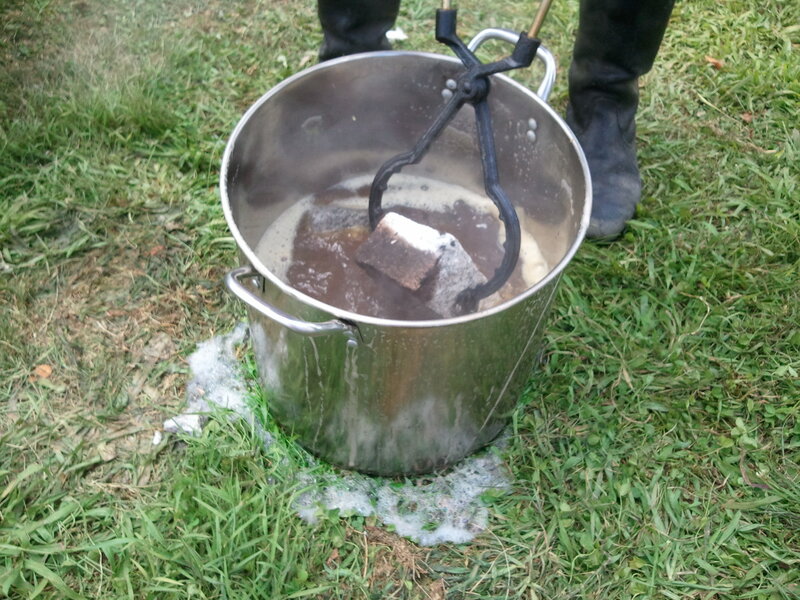 When the blocks are back in the fire we want to keep them out of the ashes and then use a hand brush to make sure any loose debris is removed before it’s dropped into the wort. Here’s where we add the brown sugar and vanilla and then after we get the wort to a rolling boil, our first hop schedule goes in. Those half size blocks we were discussing earlier are just to keep the temperature boiling the full hour. 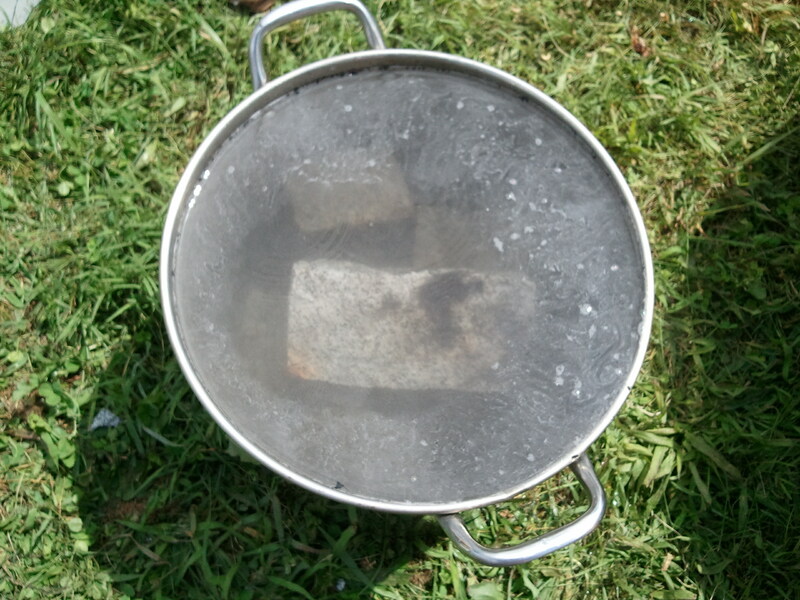 I had six half sized blocks and they were very good to just keep bumping the temp back up to a rolling boil when it started slowing down. 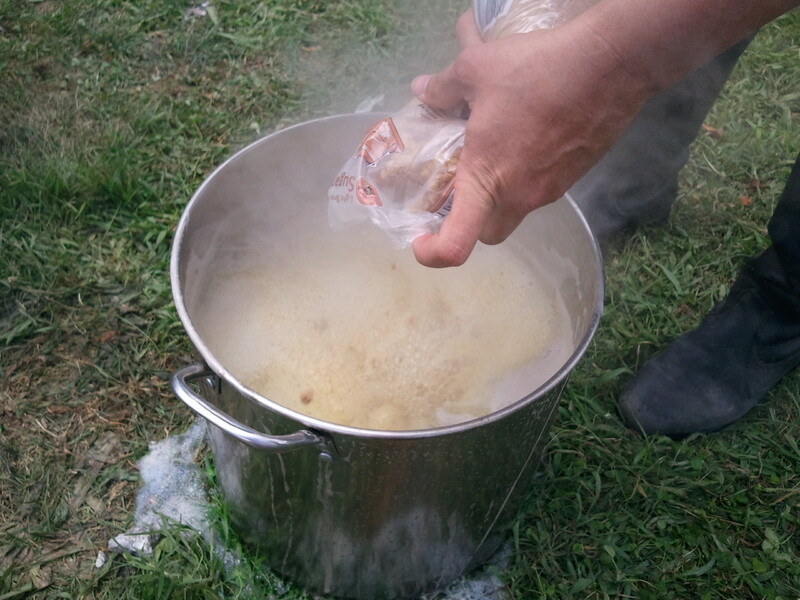 After 55 min we threw our second hop packet in and let it go another 5 min. 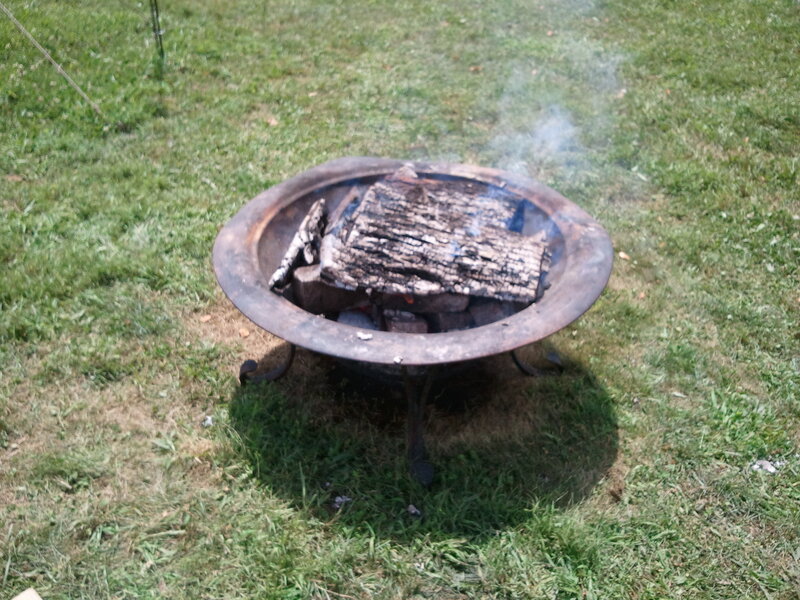 After the process was over we brought out all the half sized blocks and you can see the carmelization which occurred. 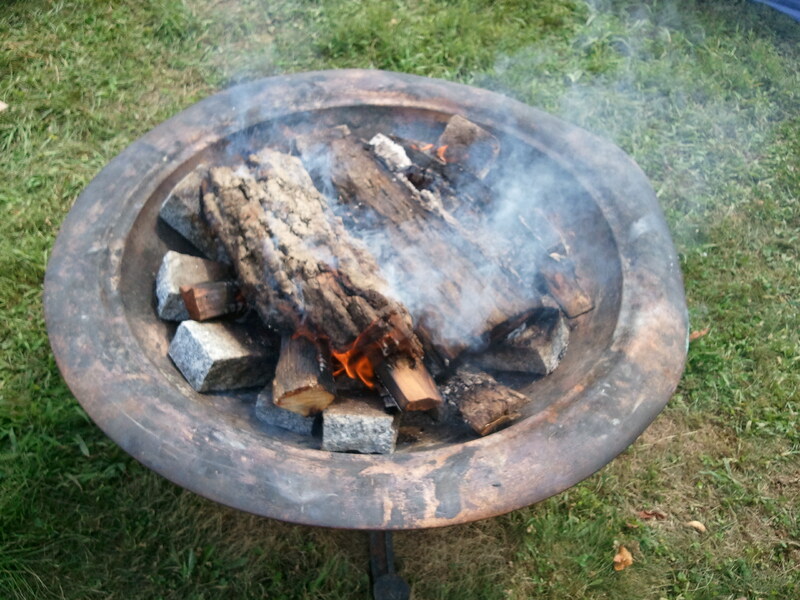 I’ll probably be scrubbing these with a stainless steel brush to get the residue off, or better yet, a really hot fire to burn the blocks clean again. 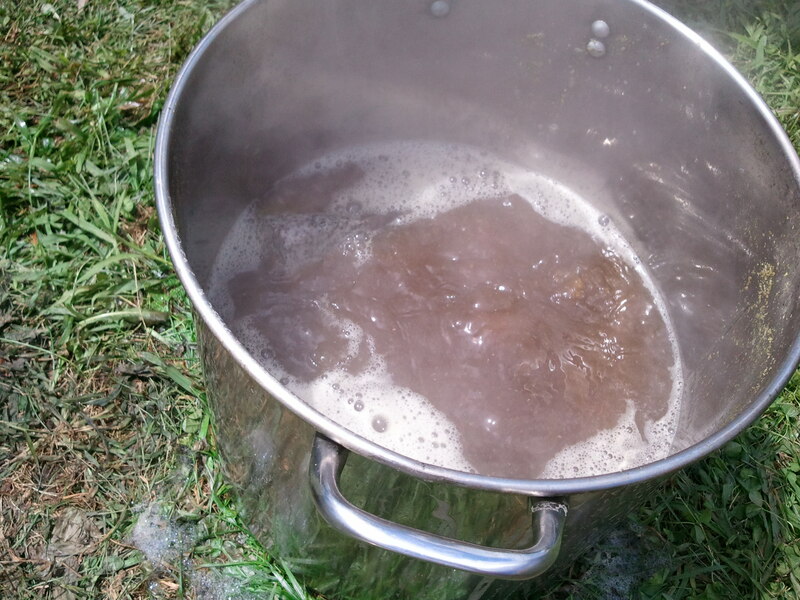 Due to class time restriction (I only had 1 hr) I did the sparge of the grains after it was over to top the batch up to 5 gallons. 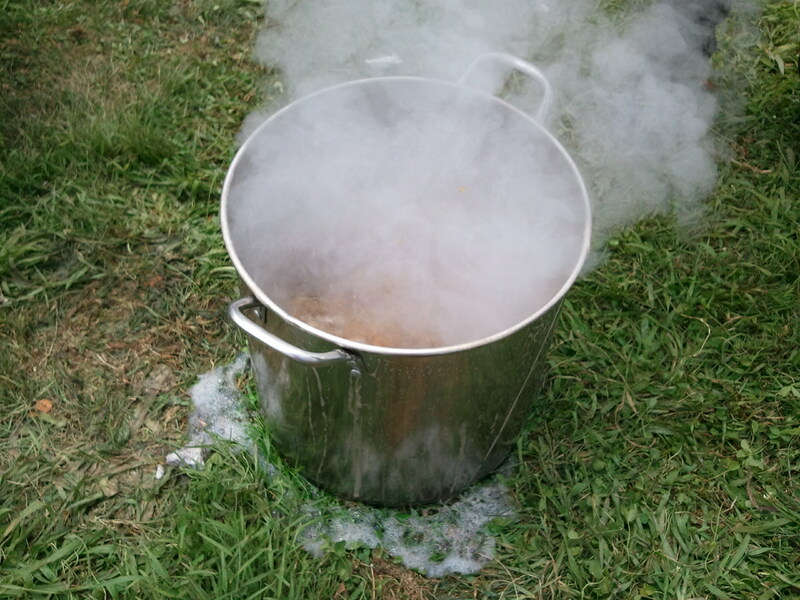 What you’re seeing here is nothing more than the first runnings. So, as always I’m learning a lot about this “No Direct Heat” process. 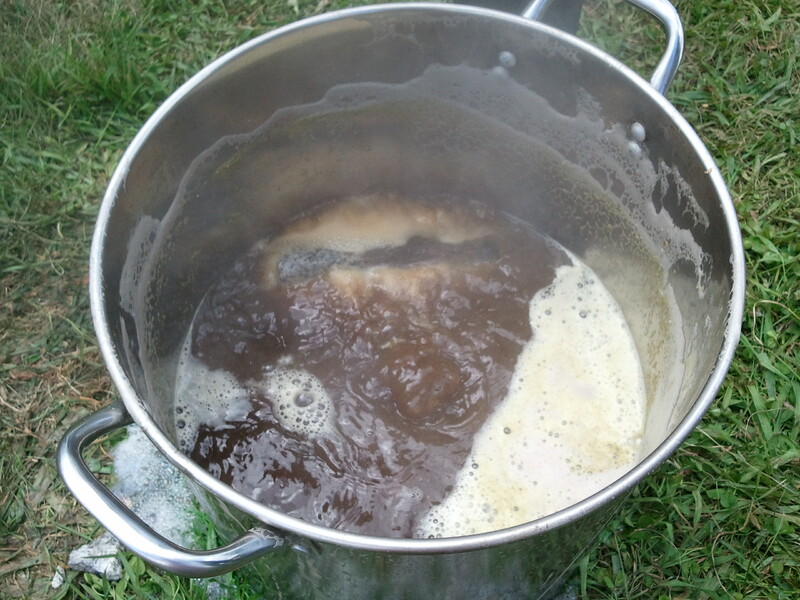 If you’re going to do this I highly recommend your wort bucket be ATLEAST twice the size of the amount of wort you’re going to boil. 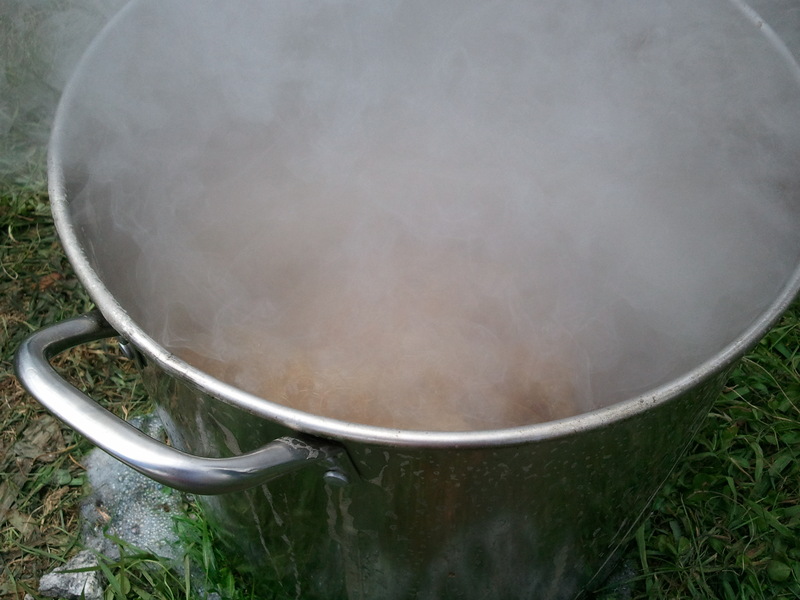 As you can see some of the stuff will boil over and you can lose 1-2 gallons of wort in the process. 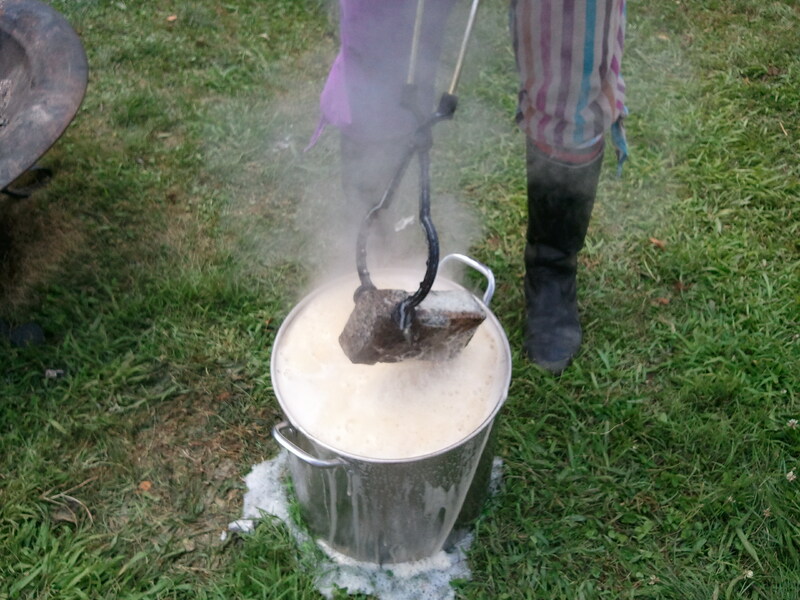 The hope was that the beer would be done early enough in the week that we could drink it at the end of Pennsic. No dice. I ended up having to keep it in the carboy all the way home where it’s now sitting in my kitchen still bubbling away nicely. It’s probably 1 day away from being done. I’ll drop some notes on it’s taste and any other findings. Special Thanks to Lord Otto Gottlieb for handling the camera while I was risking life and limb dropping hot rocks into cold liquid. Wow! Fascinating! Thanks so much for sharing your experience with this technique! Let us know how it turns out… sounds tasty!